The Assistive Tech Challenge pitch competition, presented by Destination Medical Center Discovery Square, was developed to explore ways to facilitate greater independence for individuals with disabilities and address the daily challenges they face. It also strives to help minimize the direct support workforce crisis confronting communities in the region and across the United States. It is some of these same challenges that Brandon Sampson wanted to solve when he first launched the Rochester-based boutique prosthetic and orthotic company Limb Lab. 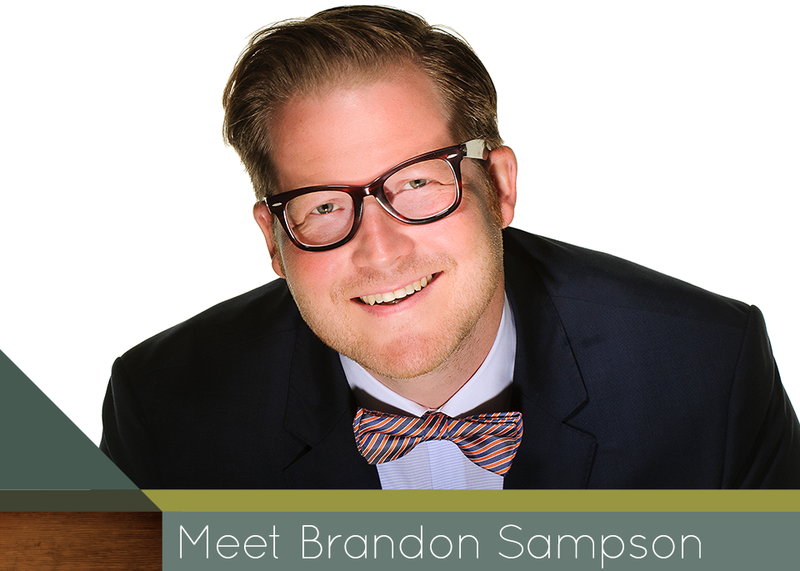 “We asked clients to list five specific goals they wanted to achieve,” Sampson explains. 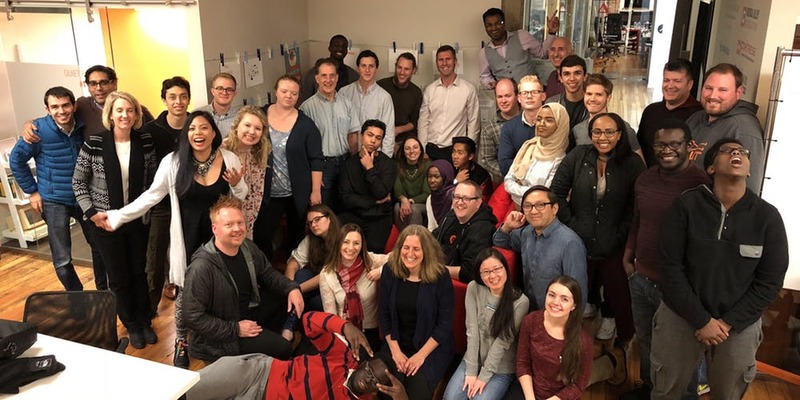 Then, the Limb Lab team would keep those goals top-of-mind as they sought ways to improve the daily independence and overall quality of life of their clients. 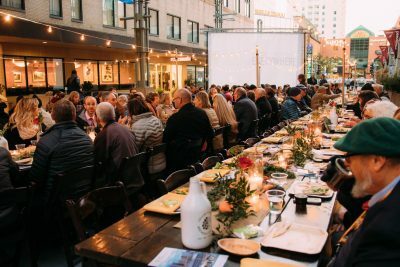 You might have been caught by surprise if you walked by the Peace Plaza on a brisk October evening and saw more than 200 people gathered together sharing a family-style meal outside. 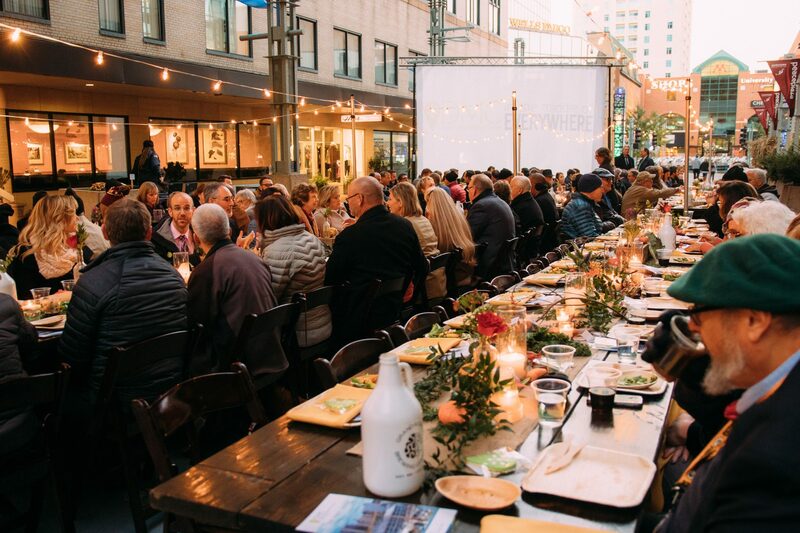 But that’s exactly what happened on October 17 during the inaugural Destination Medical Center (DMC) Annual Meeting, where the community came together to celebrate the impact of the first five years of the 20-year DMC initiative. 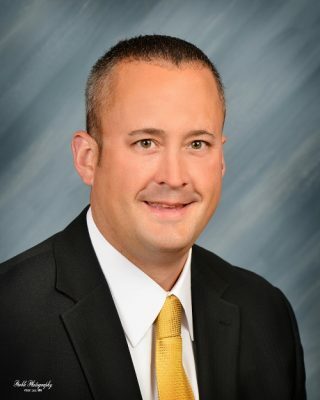 Ryan Nolander was hired as president of the Rochester Area Economic Development, Inc. (RAEDI) four months ago after long-time president Gary Smith retired. With significant experience in the economic development field, Nolander is committed to helping local and regional businesses and developers tackle issues such as site selection, financial packaging, business planning, and business advocacy. Destination Medical Center (DMC) chatted with Nolander recently to learn more about his top priorities in the coming year and why Rochester is such an attractive city. Destination Medical Center (DMC) and the Heart of the City design team collaborated with local prototypers to test out design concepts for Heart of the City Phase 1 and create an engaging public realm. The design team includes Minneapolis-based landscape architects Coen+Partners in collaboration with RSP Architects, El Dorado, Latent Design, Kimley-Horn Associates, and Fluidity. 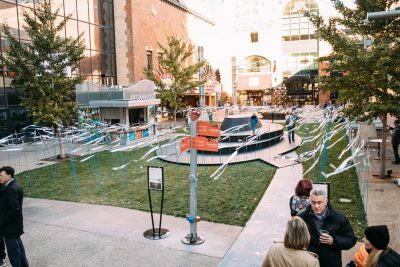 The prototypers were selected based on work presented at the 2016 Rochester Prototyping Festival. The design team felt these prototypes resonated with Heart of the City public realm work and invited the prototypers to test out a 2.0 version of their original concepts. The installations will be on display in Peace Plaza through mid-November. The Destination Medical Center Corporation (DMCC) Board of Directors recognized significant progress with several DMC projects at its September 25 meeting. 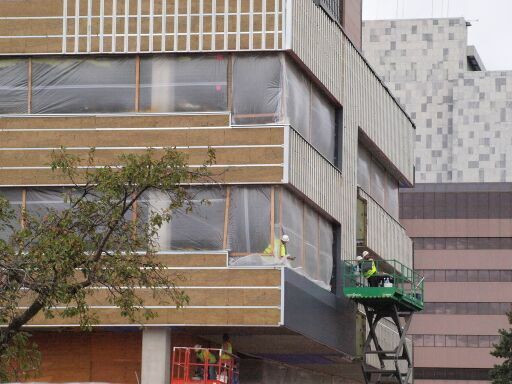 Among them – One Discovery Square – a Mortenson development consisting of 90,000 square feet of lab and office space that will cater to the life science economy.